My name is Anthony Fasano. 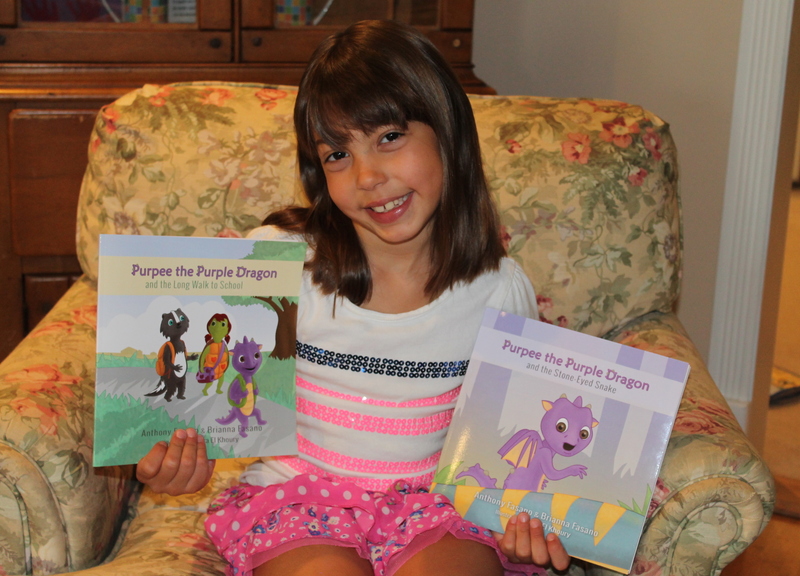 My 8-year old (now 11-year old) daughter Brianna and I are the authors of the Purpee the Purple Dragon book series. 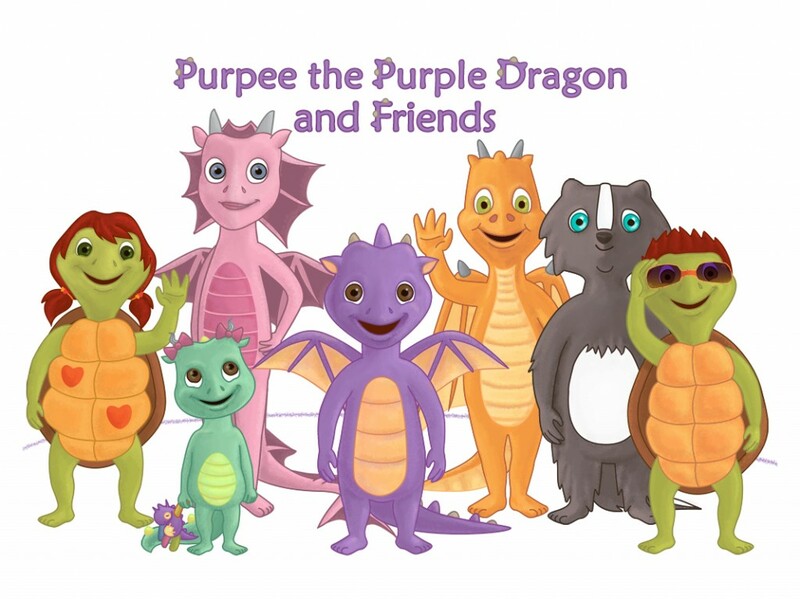 We are not celebrities by any means, we are a typical American father and daughter duo but we were able to take a bedtime story about a Purple Dragon and convert it into a series of books that serves to inspire all children, and also cheer up sick children in hospitals around the world. How can I ensure that my kids stay confident, as they grow older? 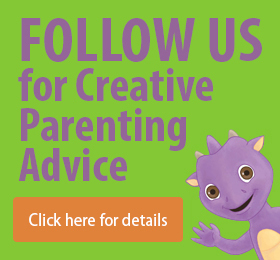 What can I do to help my children enjoy reading? In this world where kids are locked onto iPads and iPhones, how can I help my kids to want to get outside and explore? How can I teach my kids a lesson about helping those who aren’t as fortunate as they are? You’re in the RIGHT place…. This book series features a young dragon who wants to venture out into the world and have fun every day. He and his friends experience adventures that build their confidence, grow their friendships, and help them to learn about themselves and the world. All of the characters are animals with catchy names and colorful appearances to keep kids engaged and excited as they experience these adventures vicariously through Purpee and his friends. There was also a charitable component to this series that inspired the creation of the series. 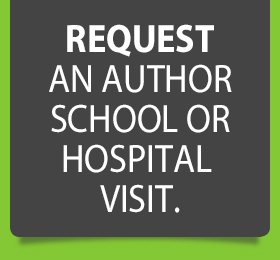 We raised enough money through our 2014 Indiegogo campaign to have 3,500 books printed and have delivered them to children with cancer across the United States at various hospitals from Maine to Los Angeles. Even though the campaign is now over, we are still donating books to hospitals as often as possible (here’s a recent visit). There are many wonderful children’s book series out there, but we like to think that ours is special in that it excites children about the possibilities that life holds for them, but also inspires those children who may not have those same possibilities. While Brianna and I will continue to do the things that fathers and daughters do together like soccer practice, grocery shopping, and building sand castles on the beach; we also intend to continue to write Purpee the Purple Dragon books and inspire both sick and healthy children all over the world! I have two other kids, so it wouldn’t be fair if we stopped the series with Brianna. Thank you for taking the time to read this. On behalf of Brianna, Purpee, and I, we hope that these books change the lives of your children for the better.